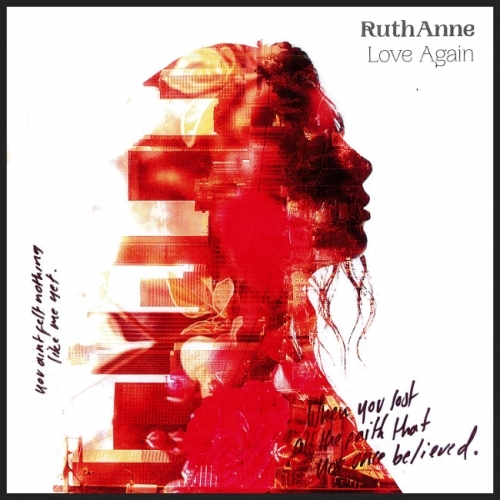 This delicious slice of timeless soul is from award-winning Irish singer-songwriter RuthAnne. Having penned hits for stars including Britney Spears (Work B**ch), Niall Horan (Slow Hands) and Martin Garrix & Bebe Rexha (In The Name Of Love), Love Again offers a tantalising glimpse of what’s to come from her forthcoming debut album later this year. Co-produced by George Moore (Yebba) and long-term collaborators Futurecut (Rihanna), the track builds from just her and an electric guitar into a harmonious chorus as RuthAnne’s soulful vocal is joined by a choir in this emotive and warm number. Featuring on thirteen Spotify New Music Fridays, as well as twenty-eight Apple Music Best of the Week playlists and Deezer UK’s Brand New last Friday, the song is destined to be added to mellow contextual playlists and with its radio-friendly sound, it’s surely only a matter of time before we hear this heartfelt gem on Radio 2 and 6 Music. Early tastemaker support has come from the Independent, Paper and Beats 1 with more press, radio and TV features to come from the likes of Today FM, 2FM, MTV, RTE One and the Sunday Times. Later this month she will be supporting Keywest on a 12 date UK and European tour before performing at Live at Leeds, Liverpool Sound City and The Great Escape festivals. A gorgeous soul pop number from a talented songwriter and singer.